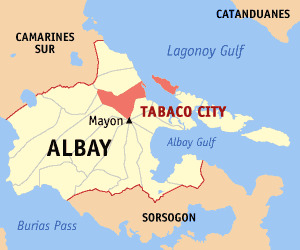 TABACO CITY—After days of surveillance, two (2) suspects allegedly involved in illegal gambling operation locally known as “Fruit Game”were apprehended by the intelligence operatives of the police. Led by SPO1 Abelardo G. Boringot, Jr., the police officers apprehended Roberto Buban y Cas, 61 years old, married and Efren Morete y Moreno,53 years old, both residents of Barangay Oas, this City. The police operatives confiscated two (2) units of Fruit Game Machine and bet money amounting to P4,261.00. The suspects were arrested on or about 2:00 o’clock in the afternoon, today (December 12). Upon their arrest, the suspects were brought to the PNP Police Station, where they will be investigated. Meanwhile, the authorities said that they have further intensified their campaign against illegal activities which have proliferated in several barangays. Apart from illegal gambling, the members of the police force have been very active in their effort to curb the operation of persons involving the distribution and sale of illegal drugs.